Welcome to SCUBA News. In today's issue we talk to Kenneth Tuttle Wilhelm - author of Careers in Scuba Diving - who gives invaluable advice for anyone considering working in the diving industry. He discusses burnout, finding lucrative sidelines and the best places to work and dive. Diving the caves, wrecks and reefs of the Dominican Republic's Atlantic and Caribbean coasts. Where to Dive in the Maldives? Which of the Maldives' 85 resorts should you choose for diving? Or is a liveaboard the only option for serious divers? Hey guys, I'm a fairly inexperienced diver (10-15 dives) and advanced open water PADI certified. Even though I haven't dived that many times, I love diving and would like to go on a diving trip in September or October 2016. I've been looking at the best diving sites in the world but I'm not sure it's a good idea for me to go there yet because of my lack of experience (I presume some of the sites are only good for experienced divers and they can also be too intimidating for me who have only seen small fish). Any suggestions about places that are good for September-October, travelling from the UK for one or two weeks with my level of experience? Sodwana Bay in South Africa has world class diving which is not too difficult. Closer to home the Red Sea offers beautiful diving or go for the Italian island of Sardinia. Any recommendations for a a great dive location for a 5 day dive holiday that's within 2 hours of UK, not too cold if we went in November and good for divers who haven't dived for 5 years since their PADI and need a refresher dive to start off again? November is late for warm diving within 2 hours of the UK. Your best bet is Malta, at around a 3 hours distance away. Good diving with some easy sites for refresher dives. Have you any suggestions for either of our letter writers? E-mail news@scubatravel.co.uk, or reply via the Facebook comments box at scubatravel.co.uk. 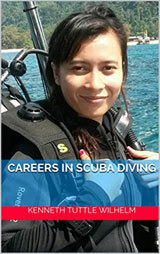 What prompted you to write Careers in Scuba Diving? I first became a dive pro in 2002, and there really has never been a written resource for someone thinking about a dive career. No written resource that addresses the questions that are of importance to the success and happiness for someone considering employment within our industry. Critically, if they're hoping to make it for the long haul. Of course, every agency has their marketing programmes, ever striving to hook the next instructor candidate. But let's be honest, agencies have a vested interest in attracting divers onto the career ladder. For most agencies, they make the most money per diver, on those who become professionals. And as dive pros, we are the cash cow that keeps generating and facilitating profits for the agencies. So of course agencies are going to promote in their own self interest, it's business baby. Pretty much all the marketing towards prospective scuba instructors is focused on the white sand beaches, calm ocean waters, and a rainbow of colours on the reefs. Oh, and all the full moon parties that take place around the world in all the hip hopping tourist areas. But really, where does a diver find out about the various sidelines within the scuba industry? In some cases the sideline might actually be more lucrative. And certainly, no one ever talks about burnout. And that's where it becomes even more imperative that someone coming into the industry needs to know of the different job/career avenues open on the scuba map. As a teacher and coach, I've always wanted students and athletes to achieve their objectives (maybe their dreams), and I want them to have an understanding of all that is possible, so they can make adjustments as they go along. When I came into the industry, I was already a teacher, having taught at tertiary, secondary and primary. And I knew that at least initially, I wanted to move to the top of the recreational scuba food chain, and become a Course Director. So since 2003 I've been actively involved at the instructor training level. And I've worked in almost all facets of the dive industry, so you could say the research was my own professional career path in scuba. Once I decided to write the book, the actual time writing was not long, it was just getting moving forward with it, among all the other competing pressures of life. Unless someone is already a famous author, a celebrity, or a well known politician, no one gets an 'advance' on the book they want to write. One has to write on their own time, with no guarantee of return. So to be honest, there are periods of time in one's life when writing takes a back seat. As they say, "A bad day diving is better than a great day at work!" This sentiment is probably true for most instructors. So it's really a hard question to answer. If I was going to say my favourite dive site, based on one visit, as a diver, then I'd have to say anywhere along the wall off Cabilao Island, Bohol Province, in the Philippines. The colours were just indescribable. As an instructor, my favourite location is the Marine Park Jetty, Tekek Beach, Tioman Island, Malaysia. It's a shore entry, with a nice artificial reef at 4-6 metres, with a slope down to high tide depths of 23m, with at least 7 sunken boats in the area, that have all become artificial reefs. It's simply the best site I've ever had for wide range of training. Best of all, being a shore dive, there's no dive boat waiting on a schedule, so instructors can take their time getting through the training objectives. The students are better for it. Where would you like to dive next? There are some places in Indonesia that I'd like to dive, Manado and the Lembeh Straits. But really, my wish list #1 is Chuuk, also known as Truk Lagoon. 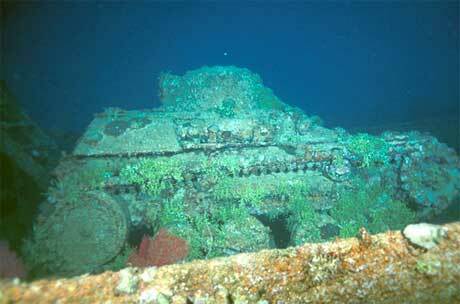 It's a WW2 graveyard for a large number of Japanese ships, that were caught unawares by the American Navy air forces. Most of the wrecks are at the limits of recreational diving, or beyond. So it's a place for those who are at least trained in Accelerated Decompression diving. Do you have a worst diving experience? Hmm the worst experience was a dive that wasn't completed. I was team teaching a course off Perth, Australia. And I had some congestion, and started getting an ear block at 1.5m of depth, by 2.5m the pain was excruciating. So I had to abort, and end my dive. What do you do when you are not diving? I'm a teacher by normal trade, so I'm either in the classroom, or working on some project. Of course, I do like my 'chill time' :-) And when I'm in the city, I like to play squash. Are you planning to write any more books - if so what about? I'm working on a revision for the e-book version of Careers in Scuba Diving, and will produce some student study review books for various types of scuba training. Outside of scuba, I've got some books on the back burner related to education and sport. Kenneth started out in aquatics in the early 80's as a nationally certified swimming instructor and lifeguard with the YMCA and the American Red Cross. Later he moved onto coaching tennis and badminton. And eventually becoming a registered teacher in Australia, while also achieving a world ranking for Men's Doubles in badminton. As a school teacher and scuba instructor he's lived in numerous places: Taiwan, Thailand, Australia, Florida, Guam, Hawaii, Vietnam, Malaysia. He reached the level of Course Director in 2007 with PADI, and now while still holding the Master Instructor rating with NASE and PADI, Kenneth has moved on to become a Course Director/Examiner with CMAS, SEI and PDIC. He speaks Mandarin Chinese, and is currently residing in East Texas while exploring the freshwater scuba sites of Texas, Arkansas, Missouri and Oklahoma. He can be contacted directly at myscuba.guru@gmail.com. 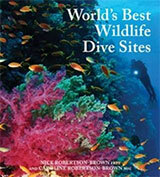 You can buy Careers in Scuba Diving in e-book or paperback format, from Amazon.com and Amazon.co.uk. Tourists are hurrying to experience Australia's Great Barrier Reef before it degrades any further, says new report. Oceana has concluded its at-sea research in Malta to explore deep-sea areas, underwater caves and sandbanks. Findings include species that hadn't previously been recorded in the Mediterranean. Of the seven species of marine turtles in the world, five species have been recorded in the Maldives. A new paper recommends stringent protection measures for the Maldives' turtles, including strict penalties for anyone catching or killing turtles or collecting eggs. Boats are killing manatees in Florida at a record-setting pace this year.As of July 22, the Florida Fish and Wildlife Conservation Commission had counted 71 manatees killed by boats, compared with 58 manatees killed by boats by mid-July 2009. In 2009, a record 97 manatees died from boat strikes. Discovered by scientists using the manned submersible in the deep-reef waters of the Caribbean island of Curacao, a new scorpionfish species is the latest one captured with the help of the sub's two robotic arms. Researchers find 10 humpbacks in the Gulf of Maine descended more slowly and made fewer side-roll maneuvers.